Randy T. Simmons is a political scientist who emphasizes the importance of economic reasoning to better understand public policy. He believes the study of politics cannot be separated from the study of markets. Simmons uses this framework to evaluate environmental and natural resource policies. 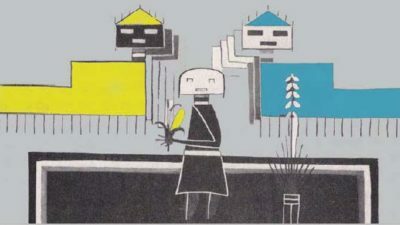 The real challenge of the social process, as he sees it, is to design institutions that have outcomes that closely represent the wishes of individuals. He believes that markets are often the best way to achieve this objective when they are insulated from political influence. Simmons current research focuses on the Endangered Species Act. He stresses that threatened and endangered species are not simply a biological problem but a social problem, since the threat to their existence is a consequence of economic and political processes. Unfortunately, the solutions presented in the Endangered Species Act have been both costly and ineffective. He believes that positive incentives are more effective than penalties. Instead of creating a burden for private property owners, Simmons proposes measures to reward owners who conserve species and habitat. He also favors decentralizing and depoliticizing conservation programs, because twenty competing answers are better than one, especially when no one knows which is the right answer. He argues this case in his forthcoming book Political Ecology: Politics, Economics and the Endangered Species Act. His other books include Beyond Politics: Markets, Welfare and the Failure of Bureaucracy, a primer on public choice economics co-authored with William Mitchell, and The Political Economy of Customs and Culture: Informal Solutions to the Commons Problems, co-edited with Terry Anderson. Simmons has also written widely on the conservation of African elephants. Simmons is above all a teacher, and many of his students have gone on to have key roles as congressional and executive-branch staff members in Washington, D.C. Because of his knowledge of the political scene, Simmons oversees PERC’s congressional staff briefings. 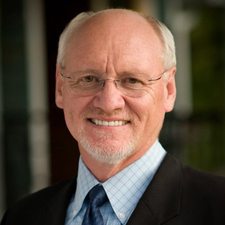 Simmons received his Ph.D. in political science from the University of Oregon in 1980. He is currently the chairman of the political science department at Utah State University, where he has been honored three times by the College of Humanities, Arts, and Social Sciences as researcher of the year. Also at Utah State University, he is the director of the Institute of Political Economy. Simmons is a senior scholar with the Competitive Enterprise Institute in Washington, D.C. He makes his home in Providence, Utah, where he serves on the city council and, together with his students, developed a guide for communities to contract out (that is, privatize) local services. In his spare time, Simmons enjoys backpacking with his wife and three children, and for years he has been a dedicated coach for his sons baseball teams. 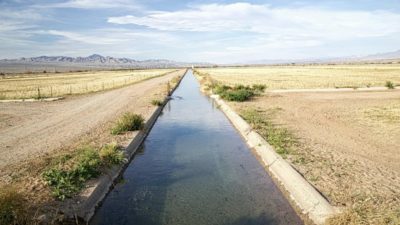 Allowing price to ration water may be a bitter political pill to swallow, but it makes economic and environmental sense. Writing at The Conversation, Randy Simmons lends insight into California's water crisis. As pressure mounts to declare Utah's Greater Canyonlands a national monument, Utah-based Randy Simmons and Ryan Yonk look at the economic impact studies used to justify designation. At the turn of the 20th century, Congress passed the Antiquities Act – giving President Teddy Roosevelt the authority to restrict the use of any federally owned public land by designating it as a national monument. However, monument designation can bring distinct negative impacts. Here's why. James M. Buchanan, the Nobel laureate in economics and father of public choice theory, has passed away at the age of 93. Buchanan's work formed the foundation for PERC's early research on environmental issues. 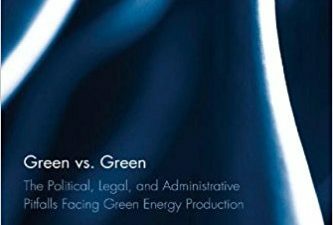 Green vs. Green explores how mixed land ownership and existing law and regulation present serious challenges to the development of alternative energy sources in the United States.